Luigi Di Maio supports the yellow vests. Following Luigi di Maio’s participation in France’s “Yellow Vests” demonstration, France called back its ambassador from Rome, causing a major diplomatic crisis between the two countries. With his partner Matteo Salvini, the chief of Lega, Luigi di Maio had expressed a lot of criticism about France and its recent social movements. According to the Italian vice Prime Minister, France refuses to take migrants who become murderers on their land. At the same time, Di Maio expressed clearly his support of the “Yellow Vests”: “Don’t abandon your movement, we’re going to support you,” he said. 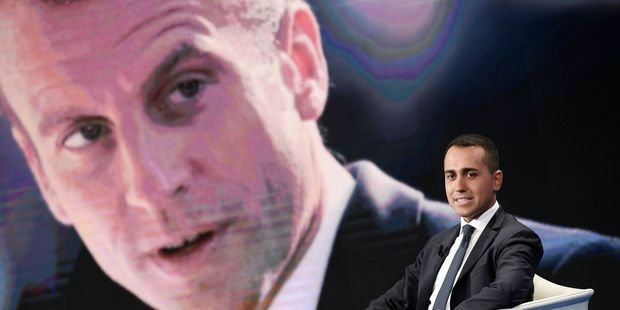 “France has never stopped to colonize many African states,” said Luigi di Maio, the Italian vice prime minister at the European Union in January. Since those words, the tension between both countries has been rising. For Gianni del Vecchio, co-director at the Huff Post in Italy, the population opposes Luigi Di Miao’s strategy. Vincenzo Boccia, leader of the Italian employer’s movement requires that the government stop to provoke France. “The problem is that their propaganda is very strong, this way a lot of people think that what Salvini and Di Maio say about France is true.” This is also why Di Maio wants to get closer to the “Yellow Vests”, in order to show his disapproval with Emmanuel Macron and his policy. This big crisis is the first one since the end of the Second World war and constitutes “an unacceptable provocation” for France. This entry was posted in FRANCE and tagged FRANCE, Itale, Luigi Di Maio, Macron, Salvini.